GEC Anderson’s stainless steel is a versatile material that enables outstanding kitchen design, combining a clean appearance with robust, ultra-hygienic performance. 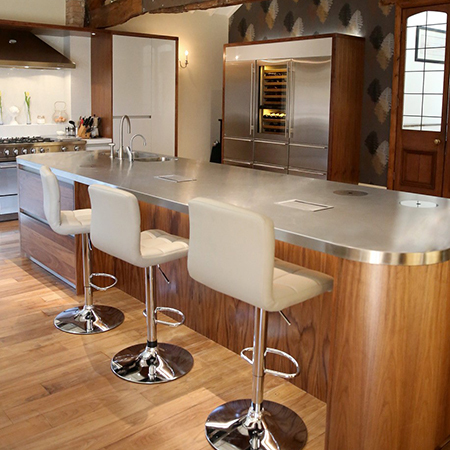 Their stainless steel worktops of virtually any shape or size can be produced as a single unit, eliminating vulnerable joints or junctions between various elements. 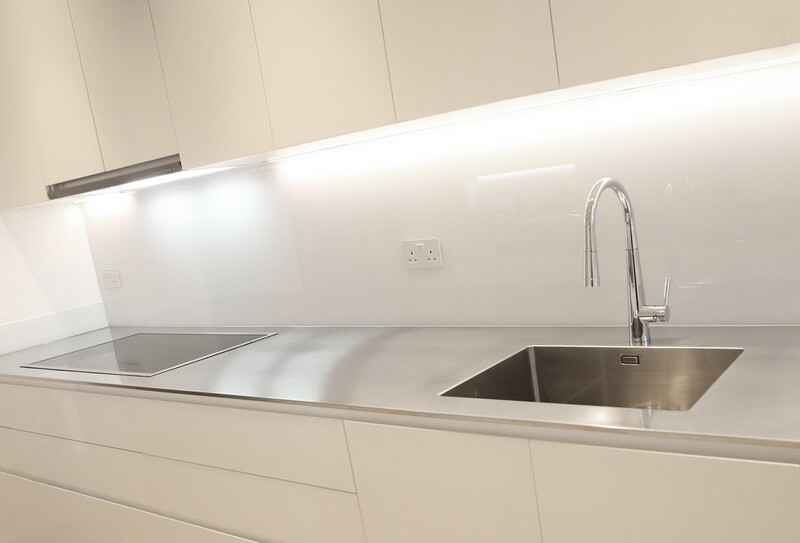 Sink bowls can be specified in almost any shape or size - circular, square or rectangular - and in any combination, with or without drainer recess. Sinks, outlets, and cut-outs for appliances (e.g. hobs) can be positioned exactly where required. 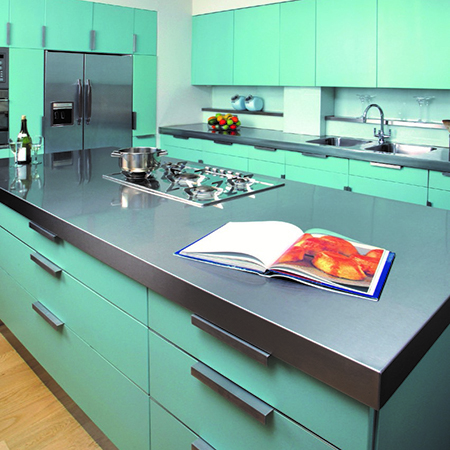 The work surface will retain its eye-catching appearance and withstand constant heavy use. The surface is easy to maintain and keep clean, and is totally hygienic. 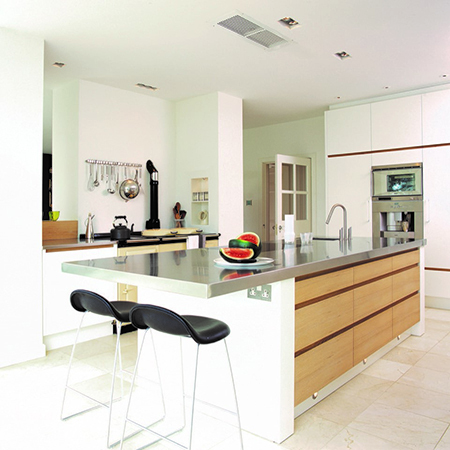 A wide choice of edge profiles ensures a solution that not only meets the design requirements of the kitchen, but is also supremely functional. 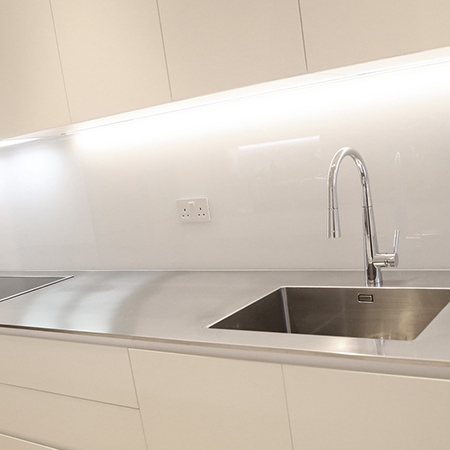 A water-safe, lipped perimeter edge minimises spillage from the worktop onto the cabinets, appliances and floor below. 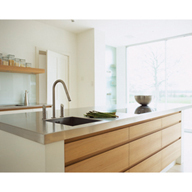 GEC Anderson worktops and sinks are available in brushed satin, textured or patina finish. 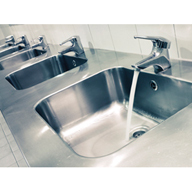 The pattern of textured and patina stainless steel facilitates drainage, resists damage, hides smudges and scratches, and is as easy to clean as the standard satin finish. 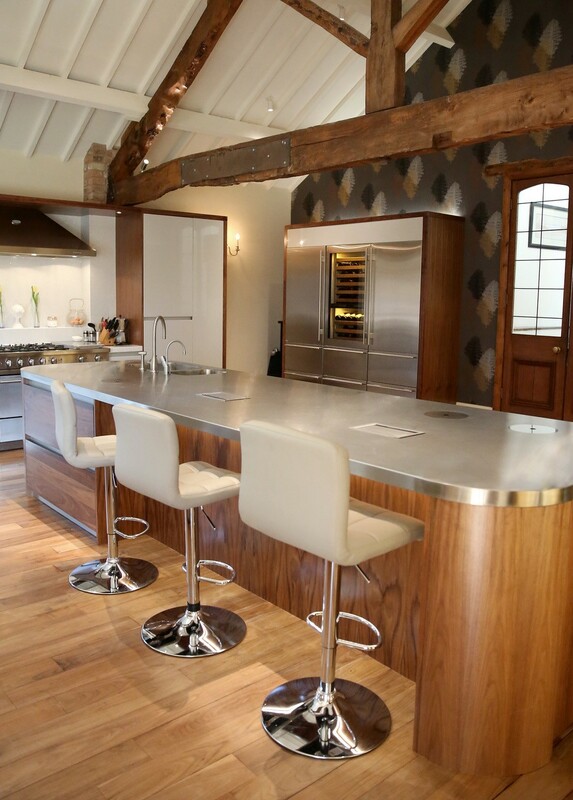 The worktops can also be combined with traditional materials in the kitchen, such as wood and stone. 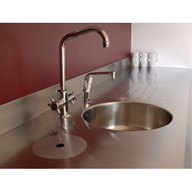 Sinks and drainers can be provided separately for installation within worktops of other materials. They are available in a range of standard sizes or made-to-measure to satisfy the needs of the specific location and context. 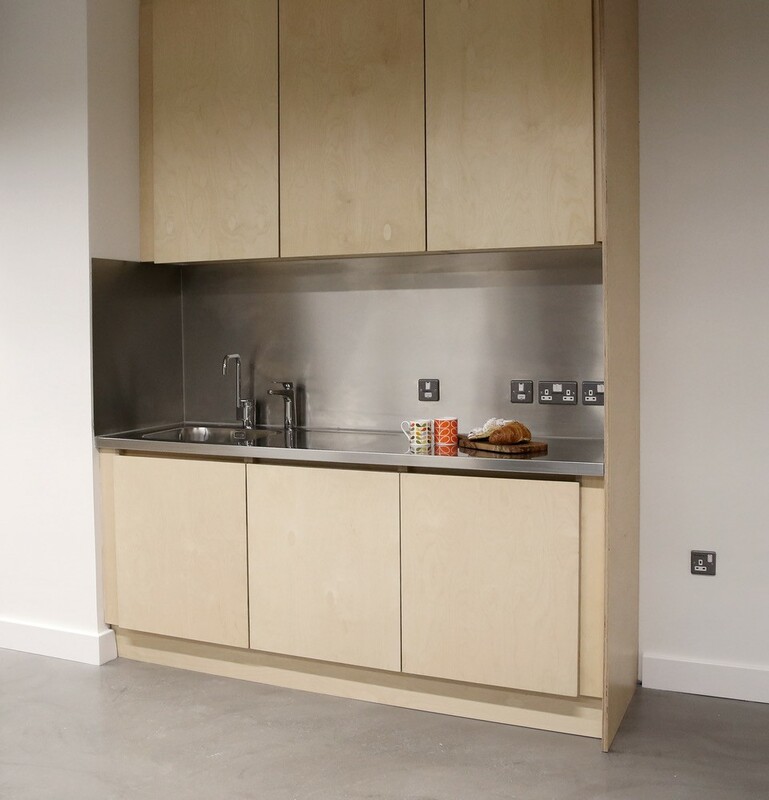 Base cabinets may be wall-mounted or floor-standing on a plinth, with adjustable feet or stylish braked castors. The GEC Anderson stainless steel shelving system employs uprights which enable simple, unique 'stepless' (unslotted) linear adjustment. 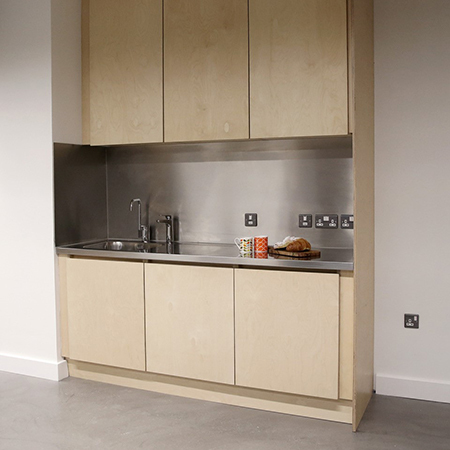 Shelves and doors are available in steel or glass and allow a range of handle options.